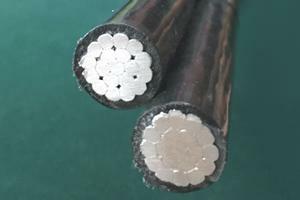 Covered Line Wire - Aluminum Conductor Covered line wire is used primarily for 600v secondary overhead power distribution lines. 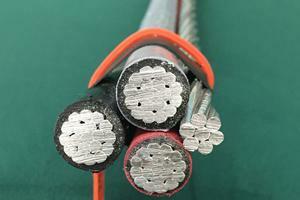 It is not an electrically insulated conductor and often considered a bare conductor. 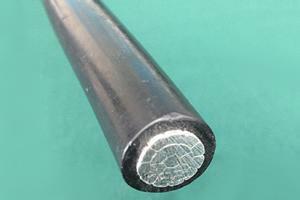 The aluminum conductors are 1350-H19 aluminum, 6201-T81 Aluminum Alloy, or ACSR conductors, concentrically stranded and covered for weather proofing with polyethylene. 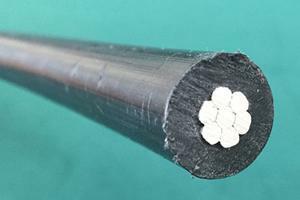 Duplex Service Drop - Aluminum Conductor Primarily used as overhead cable or air cable for 120 volt overhead service applications such as street lighting, outdoor lighting, and temporary service for construction. 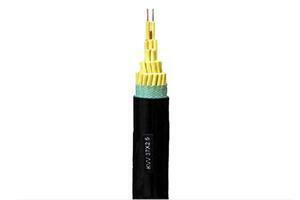 To be used at voltages of 600 volts phase-to-phase or less and at conductor temperatures not to exceed 75°C for polyethylene insulated conductors or 90°C. 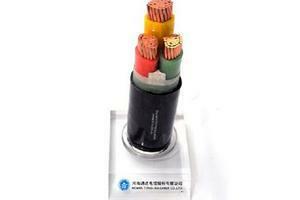 Triplex Service Drop - Aluminum Conductor Used as overhead cable to supply power, usually from a pole-mounted transformer, to the user's service head where connection to the service entrance cable is made. 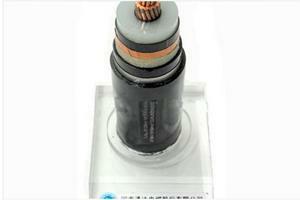 To be used at voltages of 600 volts phase-to-phase or less and at conductor temperatures not to exceed 75°C for polyethylene insulated conductors or 90°C. 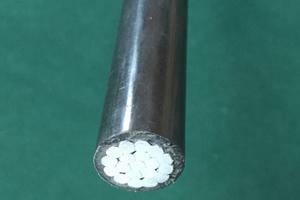 Quadruplex Service Drop - Aluminum Conductor Used as overhead cable to supply 3-phase power, usually from a pole-mounted transformer, to the user's service head where connection to the service entrance cable is made. To be used at voltages of 600 volts phase-to-phase or less and at conductor temperatures not to exceed 75°C for polyethylene insulated conductors or 90°C. 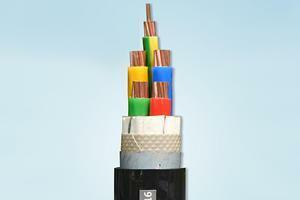 Covered Aluminum Cables - 15kV VoltageThe XLPE 15V aluminum conductor insulated cable features a compact round conductor typically made of aluminum strands, blocked or not, and comes with a cross-linked polyethylene (XLPE) cover in black or gray color, with special characteristics to be resistant against electric tracking and UV-rays. 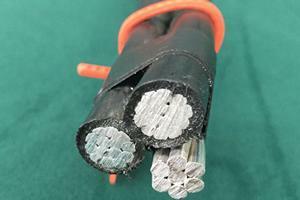 Covered Aluminum Cables - 25kV VoltageThe 25kV aluminum conductor insulated cable features a compact round conductor, composed of aluminum strands, blocked or not, and with a cross-linked polyethylene (XLPE) covered in black or gray color, with special characteristics to be resistant against electric tracking and UV-rays. 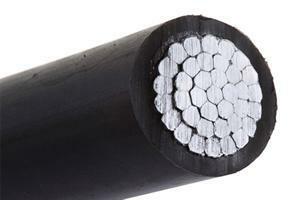 Covered Aluminum Cables - 35kV VoltageThe XLPE covered 35kV aluminum conductor insulated cable features a compact round conductor made of aluminum strands, blocked or not, and with a cross-linked polyethylene (XLPE) covered in black or gray color, with special characteristics to be resistant against electric tracking and UV-rays.